The NDIS will start in Queensland on 1st July 2016. It will provide a new way of funding individualised support, for people aged 0-65 years, who have a permanent and significant disability. Each person eligible to participate in the NDIS will have an individual plan developed based on their needs now and their hopes, goals and aspirations for the future. The core principle of the NDIS is individual choice and control over the disability services and supports used. Will I have access to the NDIS? Individuals may go to My Access Checker at myaccesschecker.ndis.gov.au to find out if they might be able to receive assistance from the Scheme. 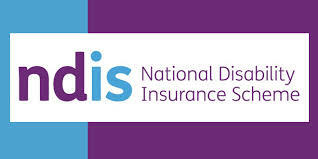 For more information on NDIS planning click here for our NDIS Planning Info Sheet. We are also recommending our customers familiarise themselves with the NDIS Planning Workbook. Start working on your plan now to help make the process easier in 2016.